Since good food or rather put, balance diet is one of the ways people can adopt to live a healthy and longer life, the need for increase awareness in this regard by way of improve nutrition is necessary especially now that medical need do not easily come by any longer as it cost good money. To make this awareness campaign back up with action a success, several national and international organizations and governments such as United Nations Children Fund (UNICEF), Kaduna State Government and Civil Society Scaling Up Nutrition in Nigeria (CS-SUNN) among others are collaborating as a force to see how they can put their resources together to get this done. While UNICEF and Kaduna state government are making available counterpart funds to drive the course, others like CS-SUNN and the media are in addition, providing the platforms and the reach to make the programme a success. On Thursday, 1st February, UNICEF in collaboration with Kaduna State government launched an initiative called food demonstration corner. It was designed to be a site for preparation of recipes from locally available food to help care – givers have a hand on experience and expertise on how the locals can make best use of what they have around them and get required nutritious recipes their body needed. At the launch of this important demonstration corner held at Primary Healthcare Centre (PHC), Kasuwar Magani, Kajuru local government area of Kaduna State, wife of the state governor and chairperson of Kaduna Emergency Nutrition Action Plan (KADENAP), Aisha Ummi El-Rufai, reiterated nutrition experts position that, poor Infant and Young Child Feeding (IYCF) top the immediate causes of malnutrition. This she agreed has negative impact on the growth and cognitive development of the child coupled with susceptibility to infections, non-communicable diseases and generational reproductive outcomes. 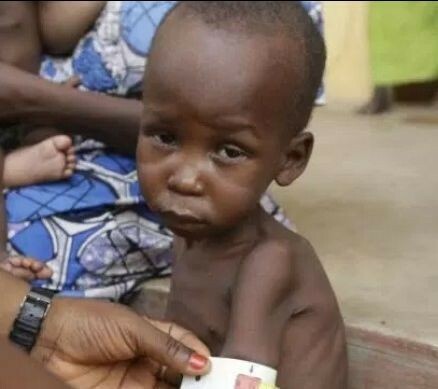 On a general ground, El-Rufai’s wife said, the period of complementary feeding (6-23months), when breast milk is no longer sufficient for the child imposes a challenge as ignorance in knowledge of basic nutrition, proper and informed food selection, personal, food and environmental hygiene practices on mothers/caregivers in the state plays a key role. But on the launched corner demonstration she said, the commencement of food demonstration corner set up at PHC Kasuwa Magani will serve as food demonstration site for preparation of recipes from locally available food to help care -givers have a hand on experience and technical knowhow on the preparation of nutritious recipes from what is locally available. “This will provide a practical experience for care-givers to strengthen the knowledge they have acquired through counseling and home visitation. The food demonstration corner is currently set up in only one site in Kajuru, Kaduna state”. “There is therefore the need to extend this intervention to other PHCs in the 23 Local government areas. “The launching of the food demonstration corner is aimed at showcasing the efforts at sustaining and strengthening Community and -IYCF) practices learned through the study implementation and subsequently gets the buy-in of stakeholders for more innovation and support. It will serve as a medium of creating awareness on available service facility to stakeholders and care-givers in the community. “The center is to serve as a model for other PHCs across the 23 Local Government Areas of Kaduna State.PHC Kasuwa Magani was selected to be the health facility where food demonstration corner would be launched”, she took her time to explain. The governor’s wife added that the overall goal of the program was to adopt strategies to accelerate responses to improve complementary feeding practices for Kaduna state children between 6 to 23 months old with a view to reducing malnutrition and promoting the health of state. She then lauds UNICEF’s collaboration with the state government in their efforts to strengthen Community Infant and Young Child Feeding (C-IYCF) programme and investing huge amount of resources in the Kaduna State. In a remark, Nutrition Specialist with UNICEF, Mrs Chinwe Ezeife, commended the governor’s wife for leading the fight against malnutrition in the state. She thanked KADENAP for scaling up of CMAM sites from two local government areas to five, providing treatment for more than 1,000 malnourished children. “This will serve as a model for other LGAs and I called on the state government to ensure that all health facilities in the state have a food demonstration corner. Counselling is important, but practical demonstration will make better impact. “UNICEF will continue to partner with the state government in its efforts to reduce infant and child mortality in Kaduna State, “she added. In an address, Administrator of Kajuru LG, Mallam Aminu Rabiu disclosed that, five PHC’s in the LG are already equipped with all the necessary materials that would enhance the take-off of nutrition corner. Meanwhile, Project Director of CS-SUNN, Beatrice Eluaka in one of her presentations during a field tour in Zaria city recently warned that, Nigeria as a country needs to take proactive measures to address cases of malnutrition in the country failure of which may cause the country to have leadership deficiency because a malnourished child today may become president, governor, lawmaker or other important leaders tomorrow. Now, there is the need for more collaborations especially with civil society organizations, community based organizations, the media and the locals so the issue of improve nutrition for all become a social norm. To this end, there is need to address some of the underlining factors such as poverty, unemployment, lack of access to health facility, inadequate health workers and unplanned births especially among those in low income settings. A stitch in time they say saves nine. But this piece is saying timely proactive measures will save millions of children from acute malnutrition.